China's marine forecast station on Sunday issued an orange alert as a powerful typhoon generates giant waves. Waves up to nine meters have been seen in the East China Sea under the influence of the typhoon Vongfong and a strong cold front coming from west China, said the station. 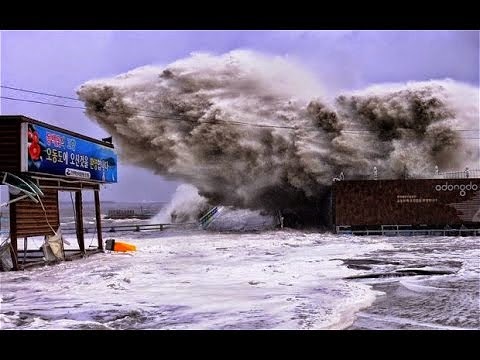 Waves will be seen off the coast of Zhejiang, Jiangsu, Fujian, Shanghai, Liaoning, Hebei, Tianjin and Shandong, the center said, warning vessels operating in the waters to take precautions. China has a four-tier color-coded weather warning system, with red representing the most severe warning, followed by orange, yellow and blue. The 19th typhoon of this season Vongfong has made landfall on Kagoshima Prefecture, southwestern Japan, on Monday morning, and may hit the capital circle early Tuesday, local media reported. According to the Japanese Meteorological Agency, typhoon Vongfong is now heading east-northeast at a speed of about 25 kilometers per hour, and is likely to sweep through the Japanese archipelago through the next day. Strong winds and rain led by the powerful typhoon has left one people missing, more than 40 people injured. The weather agency is also warning residents on Kyushu, Shikoku and the western parts of the main island of Honshu against storms, heavy rain and high waves. On Sunday, Japan Airlines and ANA airline canceled more than 400 flights, while the bullet train was halted in Kyushu for several hours. Typhoon Vongfong also cut power to more than 60,000 homes in Kagoshima Prefecture.